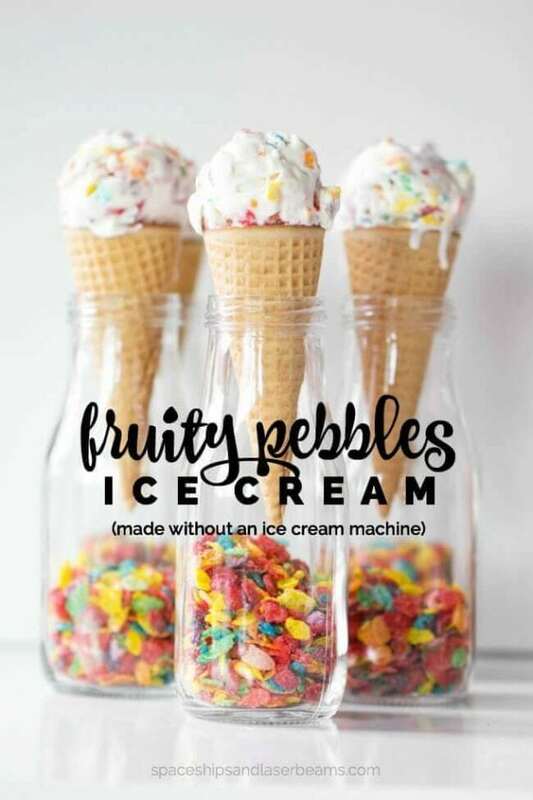 We’re excited to partner with Fruity Pebbles to bring you this delicious recipe! 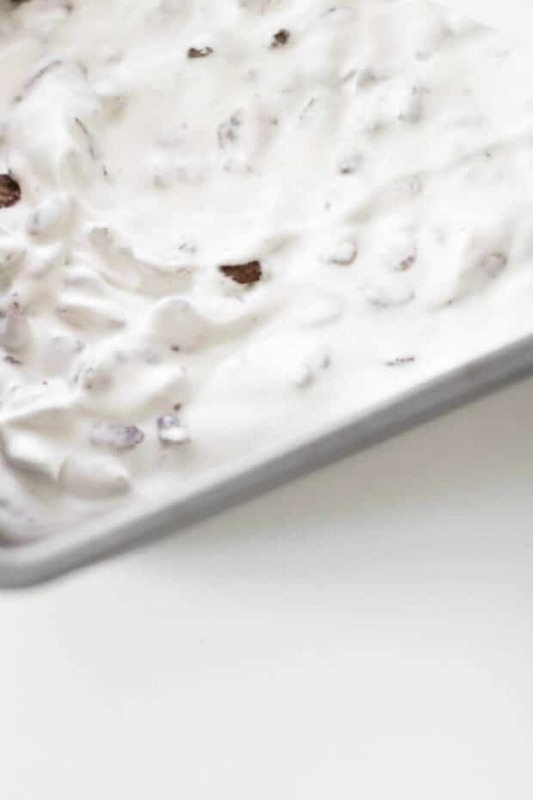 Forget the heat: eat more ice cream! 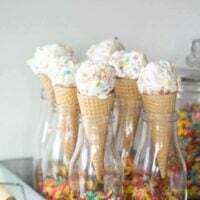 Especially if you have birthday parties to celebrate or even if you just want to make the kids happy, I have the perfect treat: No-Churn Ice Cream. 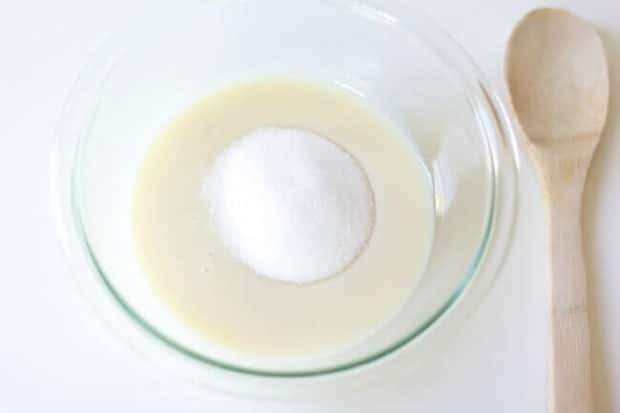 It’s blissfully simple to make and you don’t need any special equipment. 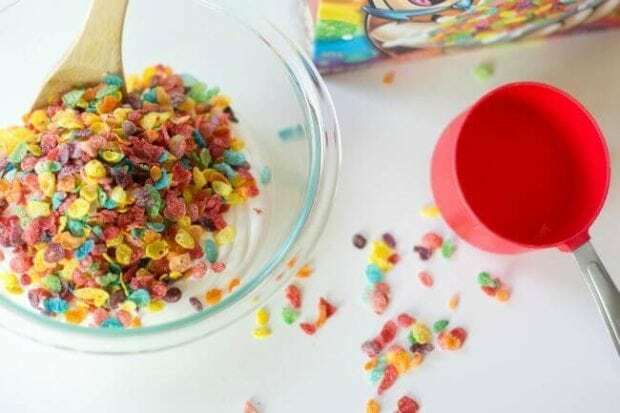 When you add the colorful fun of Fruity Pebbles Cereal, three ingredients and a few hours in your freezer, you’ve got a real winner that looks like a party just waiting to happen. 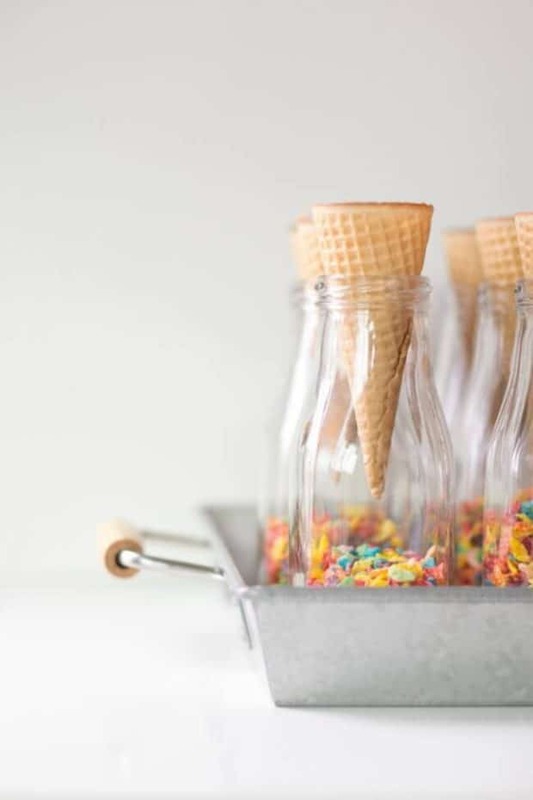 I can see this ice cream recipe idea as being perfect for lots of party themes. 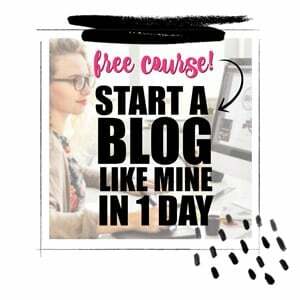 For starters: art, rainbow, neon, silly fun, beach/pool, outer space, under the sea, rock stars, and of course at a Flintstone themed event! 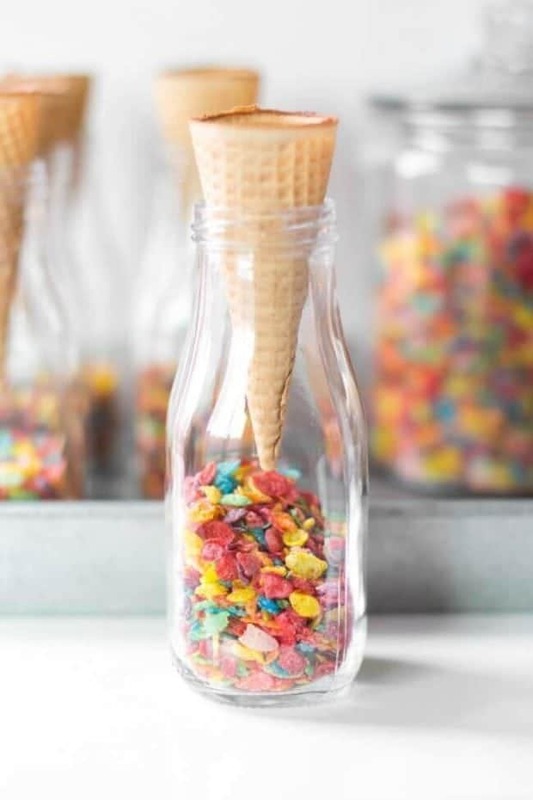 Bet you’ll get extra points for cute presentation: pour extra Pebbles into clear glass bottles. 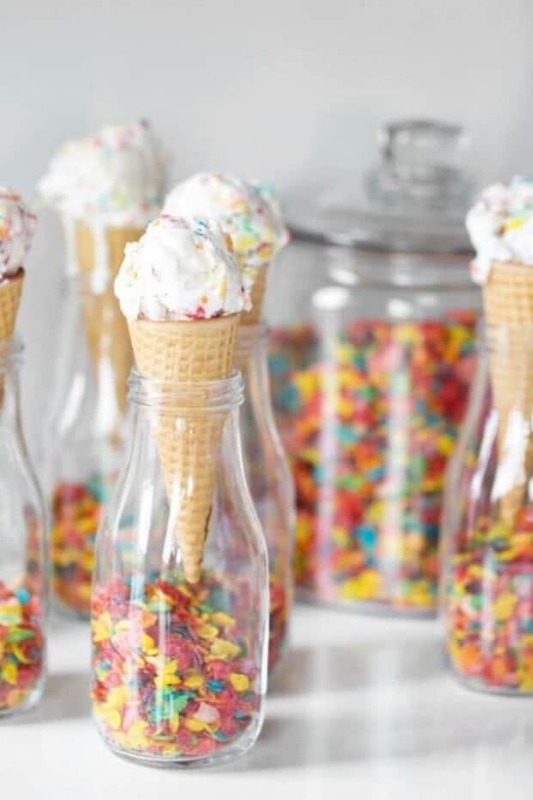 Position a cone in each bottle and top with a scoop of the playfully colored ice cream. 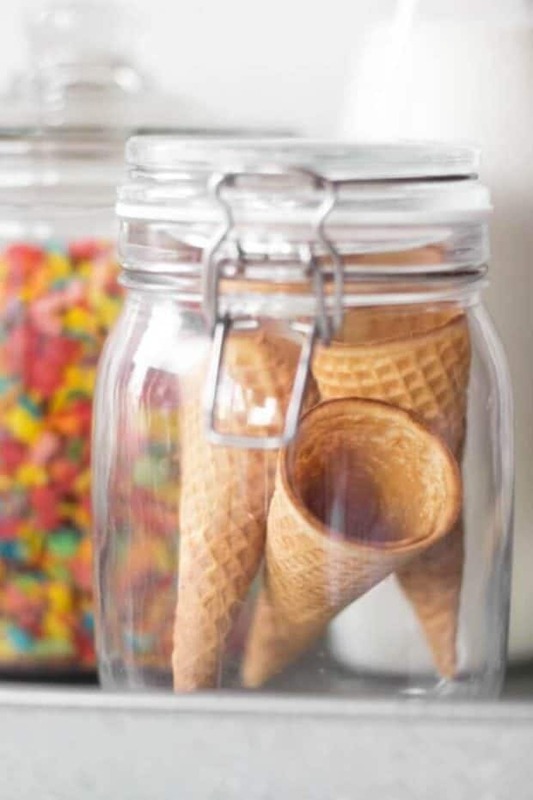 It’s a great way to take care of that pesky problem of serving ice cream cones to a group of kids. Or kids at heart. 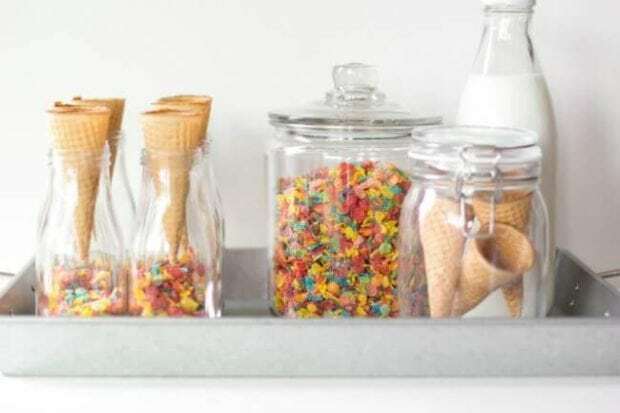 Corral it all in a stylish tray for an awesome dessert table staging. Doesn’t that make you want to smile? And sing and dance? 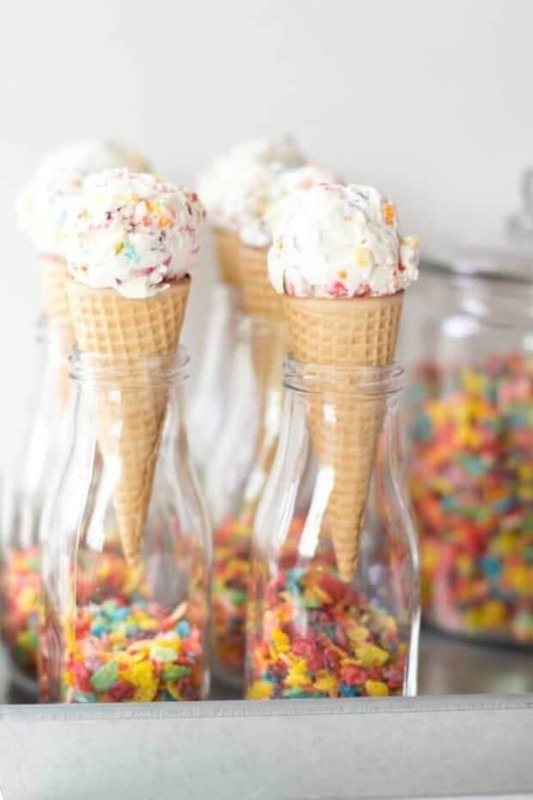 And eat ice cream?! 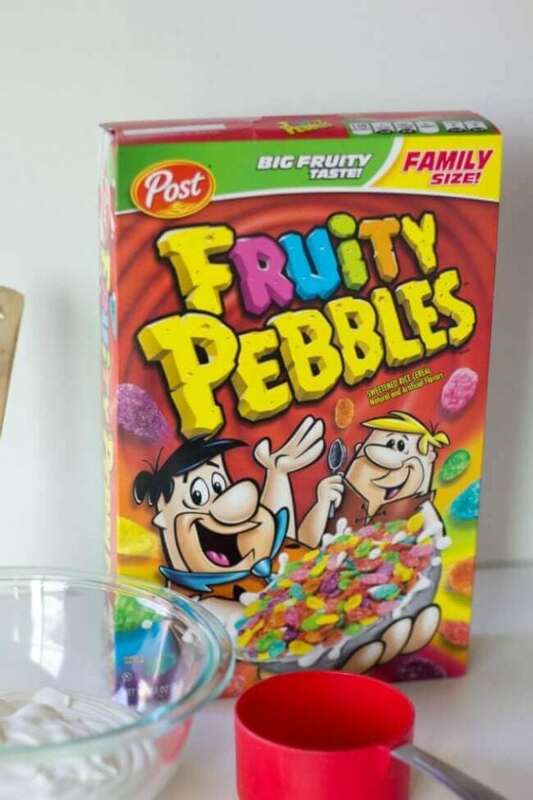 Of course, you can also start your morning with a bowl of Fruity Pebbles cereal. It might just kick-start happiness in your day! 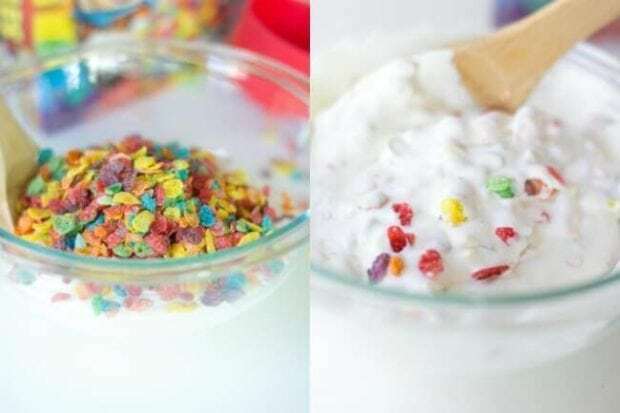 You can make a variation of this by substituting Cocoa Pebbles Cereal for an extreme chocolate flavor, too. 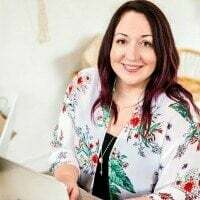 For more inspiring Pebbles content, connect with us on Facebook, on Instagram, and on Twitter. 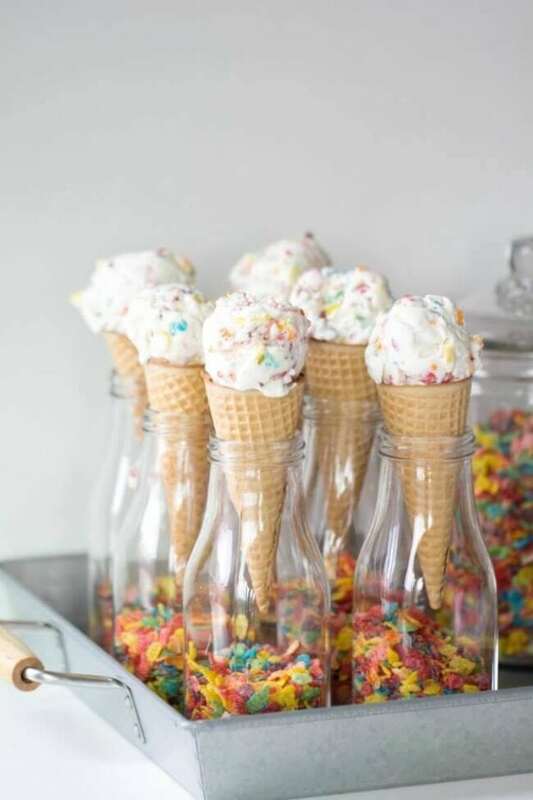 One of my favorite cereals and now in ice cream! Yes, please.